. يعمل Southern Cross Apartments على ضمان إقامة مريحة لضيوفه من خلال خدماته الممتازة وحسن ضيافته. يمكن الاستمتاع بمجموعة من الخدمات على أعلى المستويات في الفندق كمثل خدمة سيارات الأجرة, تسجيل وصول/خروج سريع, واي فاي في المناطق العامة, صف السيارات, التوصيل من وإلى المطار. في الفندق غرف نوم يتجاوز عددها 39، كلها مجهزة بعناية وجمال وبعضها مزود بـ اتصال لاسلكي بالإنترنت, مكيف هواء, مكتب, شرفة/ تراس, ساعة منبه. صممت خدمات الاستجمام في الفندق والتي تتضمن حوض استحمام ساخن, مركز للياقة البدنية, ساونا, حمام سباحة خارجي, سبا لمساعدتك على الاسترخاء والراحة. إن Southern Cross Apartments هو خيار ذكي بالنسبة للمسافرين إلى جولد كوست، بما يوفره من إقامة هادئة ومرحة. Had some trouble with key pick up and my wife hurt her toe on little step up into bathroom. Loved our stay there apart from that. We had a difficult check in as we booked through Agoda. Then when we arrived the reception lady tried to charge us an extra $140 odd. She said that I had called and asked for an upgrade..Which I DID NOT. Then she said someone rang and said they were me, then she said she would have to move us. All the time we were embarressed and upset and made to feel like liars. If I hadcalled and asked for an upgrade why would I be standing there and saying I didn't want it. Then she said "I don't know why anyone books throufthrough a third party? "...well because it is 2015.. anyway the guy on reception was lovely. The view was amazing and the location superb. Nice stay but you do need air conditioning on the Gold Coast. 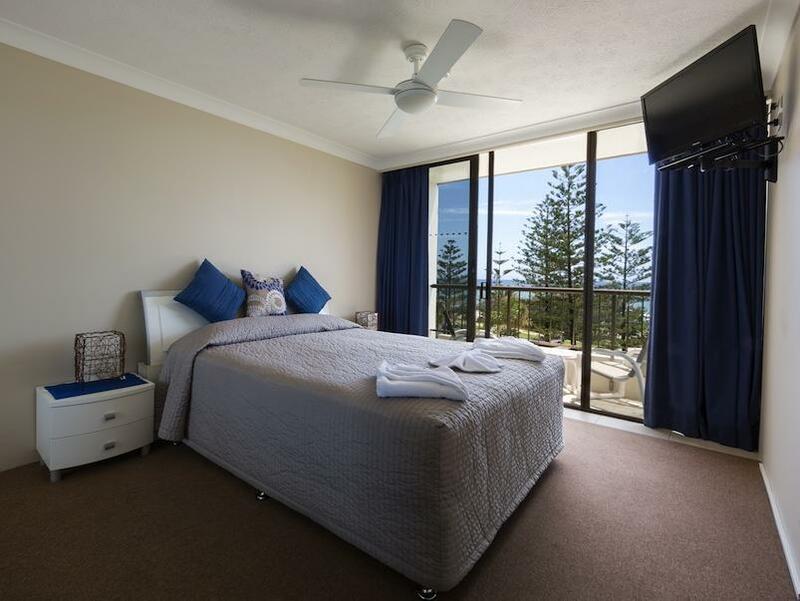 We had a most enjoyable stay at Southern Cross Apartments . The furniture is a bit tired and worn and could do with an update. There was a nice modern Kitchen and the bathrooms had had a cheap makeover. Everything was clean and tidy when we arrived. It was excellent value for money. The foyer area and the outside area around the pool were very well maintained. It would have been more enjoyable if there had been a outdoor BBQ in the communal area. The window in the second bedroom had no fly screen and opened fully we were only on the second level but a child could fall easily out of this window and is a hazard. Put a secure fly screen on this window ASAP. 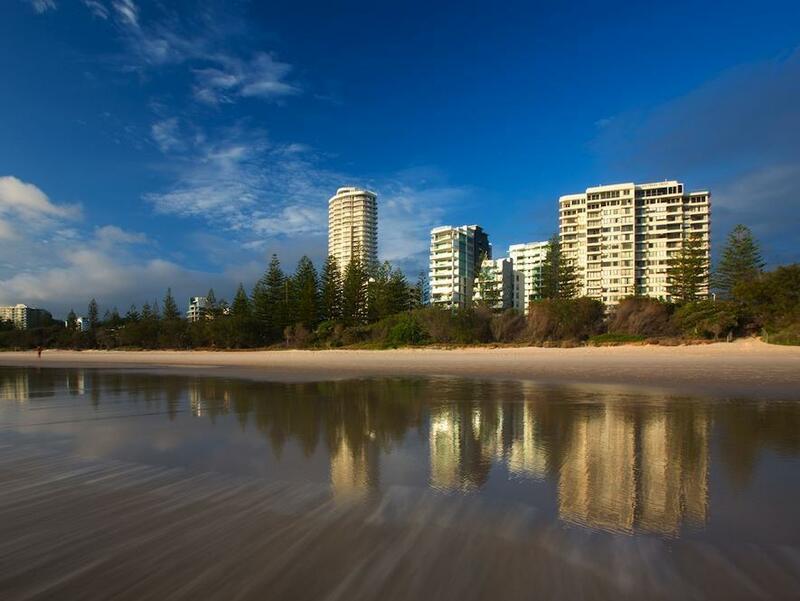 Hotel was located in quiet and beautiful area of Gold Coast. Room was clean and well laid out with everything we needed. Hotel staff were friendly and helpful. Overall a great place to stay and would recommend to friends and family. Very spacious and comfortable accommodation. Great view of the ocean, lovely spot. We would definitely return. The location was perfect with a 10 minute walk to the Burleigh shops, now quite an upmarket shopping precinct. Our view from our Ocean View apartment on the 9th floor was amazing. Very well appointed and had been recenty renovated (we requested a renovated apartment when we booked). We enjoyed using the well-equipped gym and the sauna was great. The gardens and pool area were very well maintained and the whole building was really clean. The staff were unobtrusive but very pleasant. Definitely highly recommended! 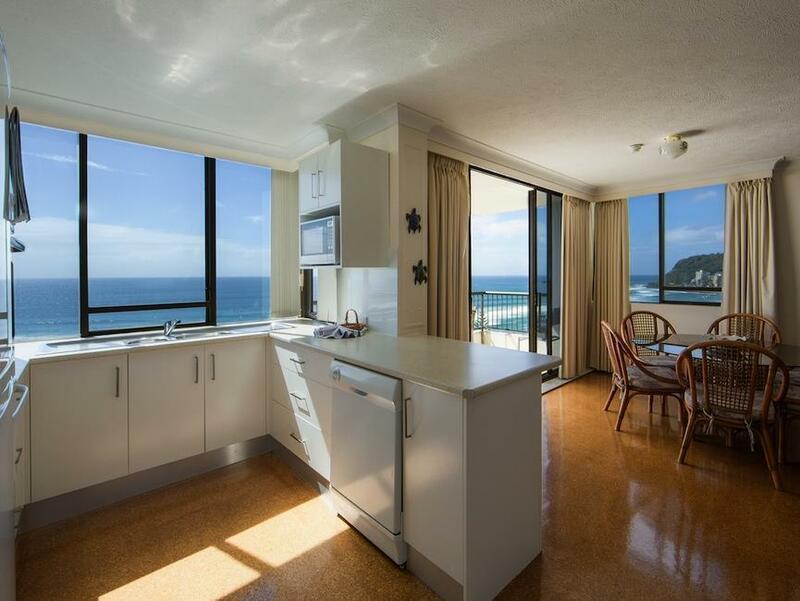 View from the unit, size of bedroom & lounge, the sauna, proximity to surf & Burleigh heads!! An older-style apartment but with the sizeable living space of a small house, with views to boot! Great sauna and spa, decent gym, nice pool (bit cold in July though!) The managers were very accomodating when arriving late.. great value for location and potential.